A boil water advisory in Maryland has been lifted after two consecutive quality tests confirmed the water is again safe to consume. 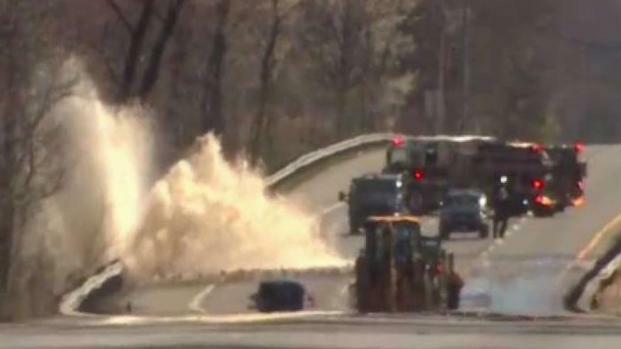 On Sunday, a water main break under the northbound lanes of the Indian Head Highway caused the Washington Suburban Sanitary Commission to issue the boil water advisory for areas of southern Prince George's County. Residents in Fort Washington and National Harbor were originally advised to bring their water to a rolling boil for three minutes before using it for drinking, brushing teeth or washing fruits and vegetables. 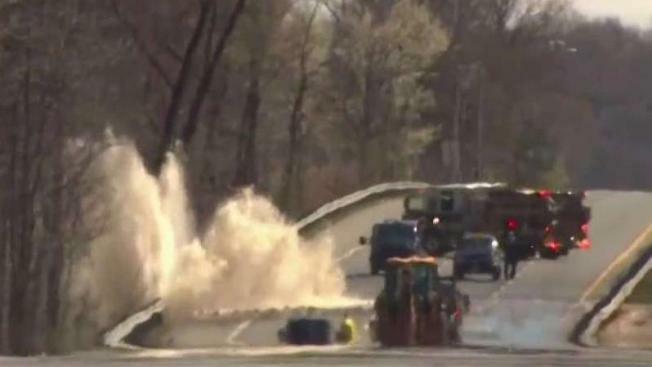 A water main break under the northbound lanes of the Indian Head Highway has caused the Washington Suburban Sanitary Commission to issue a boil water advisory for areas of southern Prince George's County, Maryland. News4's Nicole Jacobs reports. Run all cold-water lines for five minutes. If you have a single-lever faucet, set it to run the cold water. Begin with the lowest faucet in your home or business and then open the other faucets one at a time, moving from your lowest floor to your highest. After five minutes, turn off your faucets in reverse order, from highest to lowest. You should also flush your refrigerator’s water lines. All ice made since the precautionary BWA was put in place Sunday evening should be thrown out, as well as the next three batches. Ice maker containers should be wiped clean with a solution of two tablespoons bleach to one gallon of water.